The CNC Flame Cutting Process. What is CNC Flame Cutting? The CNC flame cutting machine consists of the normal flame cutting paraphernalia such as the cuttings torches, and cutting tables apart from the new addition of computer hardware such as the CPU, controllers, Video Display Units and methods of inputting the cutting shape which is not a paper template in this case but could be a floppy disk etc. Normally there are two types of torches namely the cutting torch and the plasma torch which is used depending on the thickness of the material to be cut. The information regarding cutting is fed into a file which is fed to the system from the input method and this information contains various data about the part to be manufactured. If you are not fully clear about how it works, you can watch this video about CNC flame cutting. 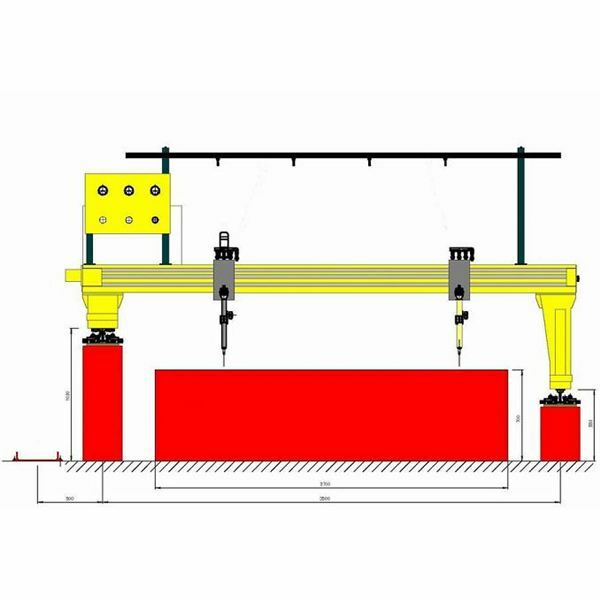 Of course this video does not show the gantry type CNC machine above but it will give you a very good idea about the process by watching the actual process live, as if it were happening in your presence. As you can intuitively imagine the process of CNC flame cutting is much faster, accurate and reliable than the optical flame cutting process described in the previous article. The information regarding the part to be cut is not in the form of a paper template but an electronic file which is a much more robust method prone to lesser chances of corruption and damage. The information can also be changed easily in case certain variations are required by simply editing the file using the appropriate program and this does not require making of an entirely new template so this further helps to improve efficiency of the process. Moreover the speed and accuracy achieved through the use of programmable controller is certainly much better than any manual method especially in the manufacture of complicated shapes in two dimensional space. The system in most modern machines is also interactive in that in case certain information is found missing, the computer generates an output on the printer of the display unit asking for the required data.